Whether its a hen, stag, birthday or just getting to together your friends, we came across a handy tool to pin down a date with your group of friends when planning a weekend in Newcastle. 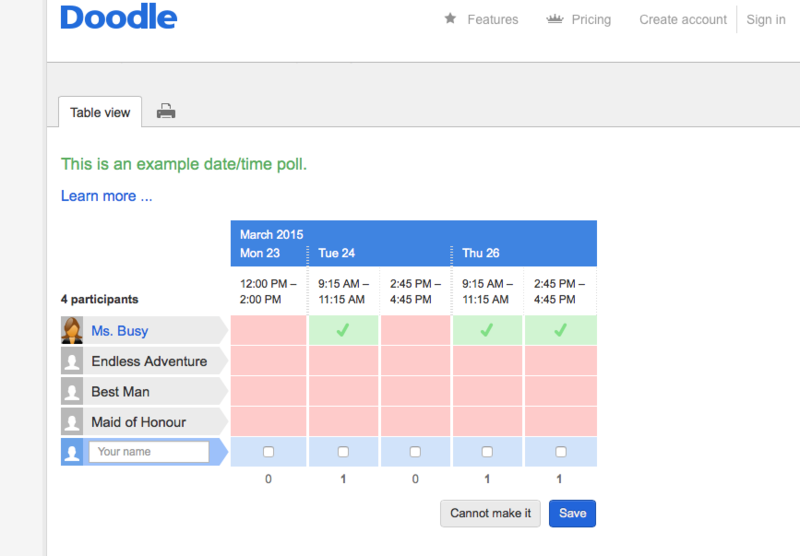 Its called Doodle and has a variety of settings and options, you select a range of dates then send out a group email, whatsapp, BBM or Facebook message with the link enclosed. This one has times and dates but you can also specify a range of dates and and no times. Once you have your dates, head to Newcastle or the North East for a weekend, we can provide bespoke adventures for groups of all sizes. Our trips include transport, free photos, all specialist equipment and the option to buy a bespoke video. Trips are popular with stag and hen parties and we can pick up from your hotel or hostel and return you later in the day. Get in touch if you need any more information or help planning your weekend in the North of England.